Parents, we know what you are thinking – this time of the year can be expensive. Between preparing for the holidays, more family gatherings, and just stocking up on everyday essentials, your wallet may be feeling a little stretched by now. Huggies and Sam’s Club want to make things easier. 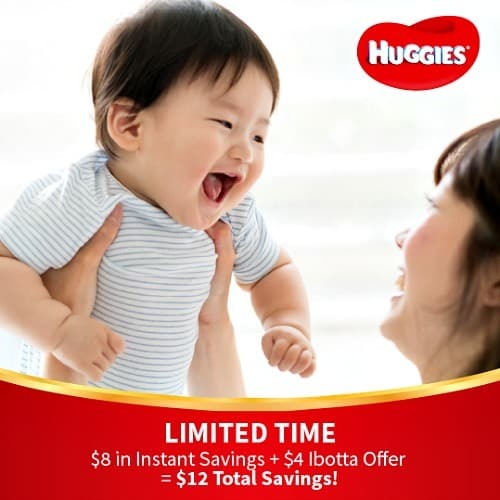 Right now, when Sam’s Club members purchase any two qualifying Huggies products at Sam’s Club, you can get $8 in Instant Savings. And as a bonus, you can use the Ibotta offer on this site for an additional $4 dollars off. That’s $12 in TOTAL SAVINGS, so you and your family can make the most of this season while still getting the Huggies items you depend on daily. Visit this link for more info on how you can score your Instant Savings at Sam’s Club!